Hello Dosto Aaj Ki Es Post Me Hum Janege Ki Android Mobile Me Documents Kaise Scan Kare. 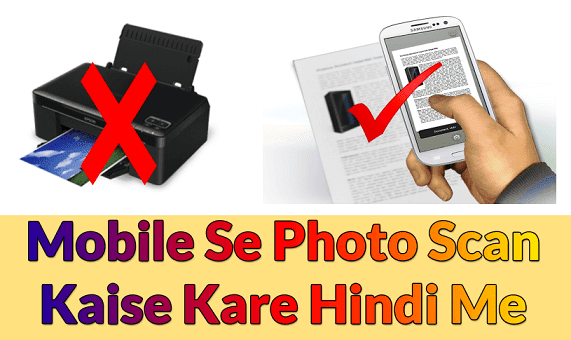 Aapko Apne Mobile Me Documents Ko Scan Karne Ke Liye Aapko Ek App Ko Install Karna Hoga. Jisse Ki Jisse Aap Photo Ya Documents Ko Scan Kar Sakte Hai. 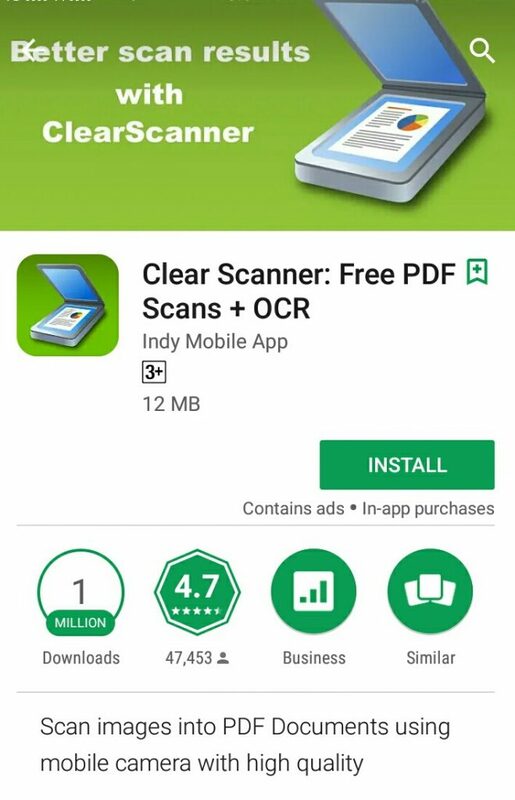 Us App Ka Name Hai Ki Clear Scanner Free PDF Scans+ OCR. Play Store Me Jaye Or Search Kare Clear Scanner Free PDF Scans+ OCR . Search Result Me . Jo First App Ho Use Install Kar Lo. App Ko Install Karne Ke Liye Click Kare . Is App Ko Play Store Par 1 Million Downloads Mile Hai. Or 4.7 Ki Rating Mili Hui Hai Jo Ki Bahut Achi Rating Hoti Hai. Is App Ki Size 12MB Hoti Hai. Sabse Aahale Us App Ko Open Kar Le. Iske Baad Aapko Screen Ke Niche Ek Camera Ka Icon Dikhega Uss Icon Par Click Kare. Camera Icon Par Click Karte Hi Camera Open ho jayega. Fir Aapko Jo Bhi Photo Ya Document Scan Karna Hai Uska Photo Capture Kar Lijiye. Uske Baad Apne Picture Ko Adjust Kijiye. Yeha Par Aap Apne Photo Ko Shi Se Set Kar Sakte Nai. Correct ke Chin (✔) Par Click Kijiye. Uske Bad Me Ek Nya Page Open Hoga. Usme Aap photo Ke Look Aur Light Condition Improve Kar Sakte Hai. Agar Aap Original Document Save Karna Chahte Hai To Is Me Koi Bhi Change Nhi Kare. Fir Se Aap Chin (✔) Par Click Kare. Ab Aapka Document Scan ho jayega. Ab Aap Apne Photo Ko PDF File Me Bhi Convert Kar Sakte Hai. Yaa Fir Aap Chahe To Mobile Ke Storage Me Bhi Save Kar Sakte Hai. Is App Se Banai Gai Photo Ya Img Ko Bhi Share Kar Sakte hai.